· Up-arrow and right-arrow key – seeing the current state of different faces. User defined point data structure for element square. ax holds all the co-ordinate points for element square along x axis. ay holds all the co-ordinate points for element square along y axis. az holds all the co-ordinate points for element square along z axis. Holds the value of keys that are pressed. Holds the index of selected of selected element square. 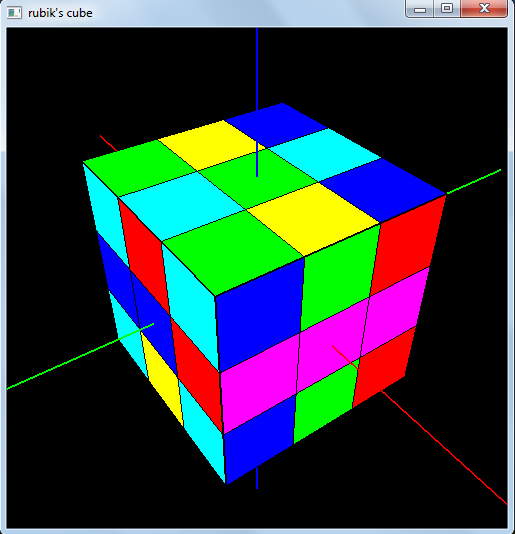 Yhis function is used to render complete rubik cube on the screen. 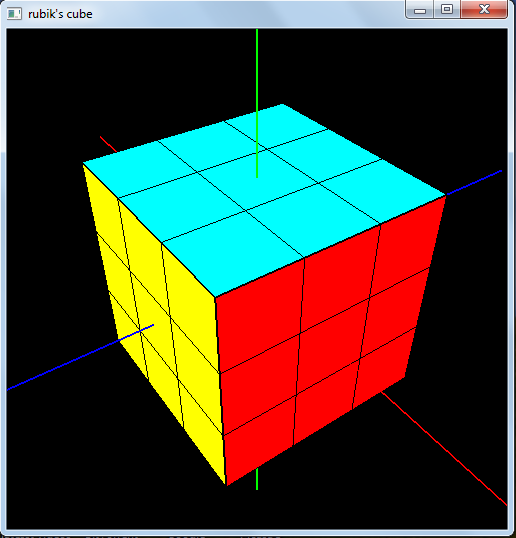 Animates and rotate the selected cube about particular axis. Selects the cube that is to be roataed. Index of the selected element square are saved in selected_ax, selected_ay, selected_ay array. Registered method to take alpha-numeric input from the keyboard. Adjust the rendering when window size changes.